05. Ruggero Leoncavallo - I Pagliacci, opera: No, Pagliaccio non son! In a certain way, Beniamino Gigli became a victim of La forza del destino (The force of destiny), or perhaps one ought to say: of his ambitions. After his brilliant American debut at the Metropolitan Opera in New York, he had sung there for twelve consecutive seasons in 28 different roles. As a result of the economic crisis however, the 'Met' was forced in 1932 to reduce all salaries and Gigli decided to return to his homeland Italy. 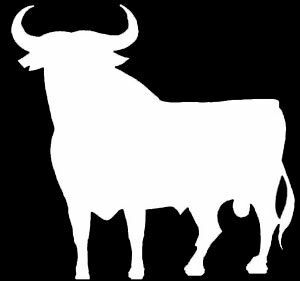 There he became a favourite of dictator Benito Mussolini. When World War II was over, the singer was criticized by a number of people in Italy and abroad for not having taken a stand against el duce. He was nevertheless allowed to sing in a Roman production of Tosca in 1945 and in La boh&me at Covent Garden. 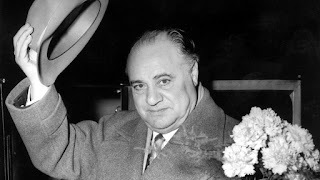 In London he came, he saw and he conquered, perhaps also as a result of the unusual casting: whereas Gigli himself played the Rodolfo part, that of Mimi was sung by his nineteen year old daughter Rina. 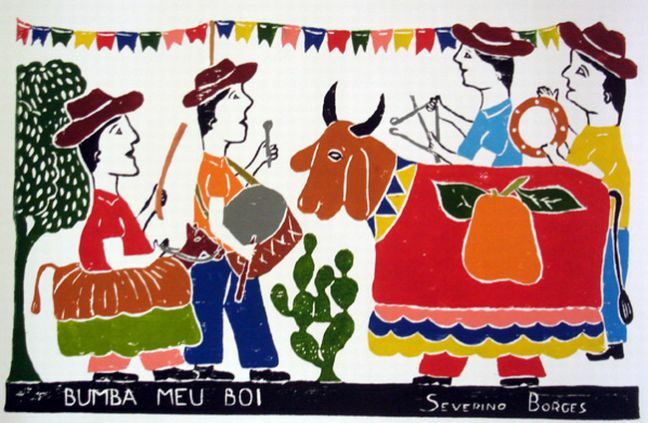 Beniamino Gigli was born on 20 March 1890 in Recanati as the son of a shoemaker. Like many Italian singers he began his career singing in the church choir; being seven years of age he entered the choir of the Recanati Cathedral where his father was also the sacristan. The young Gigli was taught initially by the local teacher, Quirino Lazzarini, and later by Antonio Cotogni and Enrico Rosati. He made his debut in 1914 with Ponchielli's La gioconda, after he had won an international competition in Parma. The jury seems to have been quite impressed, as can be read in a report by one of its members, the famous tenor Alessandro Bonci. In addition to the usual information regarding the candidate's age, appearance ('good'), intensity of voice ('strong, tenor, lirico-spinto'l, timbre ('appealing, warm'), intonation ('optimal') and interpretation ('warm expressive, very effective'), Bonci added the remark: 'Finally we have found a tenor'. 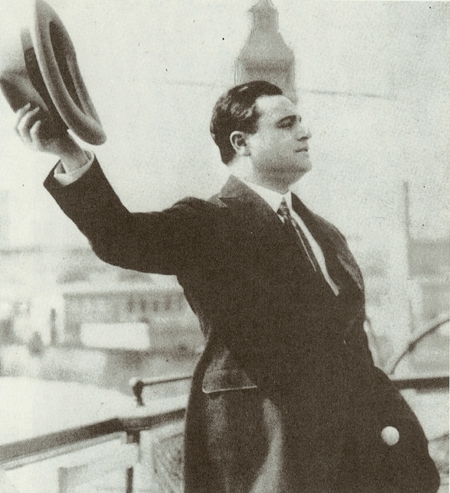 After several engagements in Italian theatres, Gigli performed in Spain, France and Germany, before he made his debut at the Milanese Scala in 1918. The next two years saw his first successes in South-America and his debut at the 'Met'. There he was considered to be the heir to Caruso, who at that time had stopped performing; Gigli sang several roles, but excelled in the veristic opera and in the French tragedy lirique. As is stated above, he shifted his attention to Europe after 1932, although he incidentally returned to the 'Met', namely in 1938 and 1939. Throughout his life, Gigli toured the world and he appeared in operas as late as 1953. He gave his last concert two years later and retired to the country, near his native Recanati. There he could look back, not only on his operatic career, but also on the several movies he had appeared in. 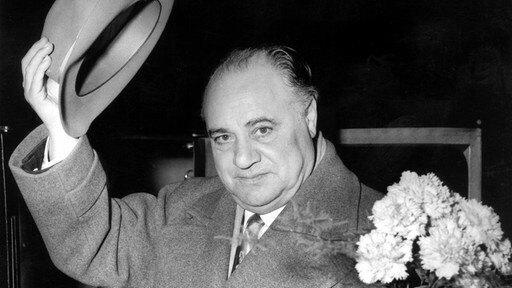 In addition to his dramatic activities, the great tenor also wrote two autobiographies, titled Confidenze (1943) and Memorie (1957). Beniamino Gigli died on 30 November 1957 in Rome. 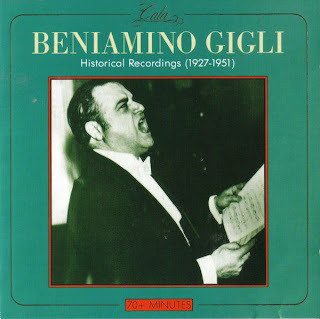 A lot of Gigli's career is documented in the numerous gramophone recordings he made: especially his recording of arias from Les pecheurs de perles, L'elisir d'amore, Andrea Chenier and La forza del destino have been praised by many. 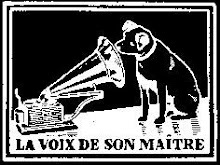 Several critics considered him to be the golden voice of the twentieth century.